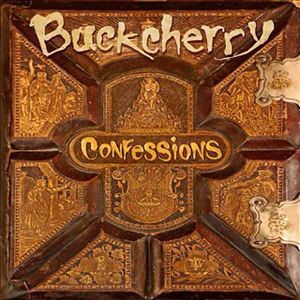 Big staccato verses push the nasty “Gluttony,” the first tune on Buckcherry’s Confessions, a well-produced rock/metal release of a sixth studio album. It’s pretty much what you’d expect from this quintet. I regard Josh Todd’s vocal style (his overall voice), which is akin to Halestorm’s “Lzzy” Hale and others in that it’s interesting, powerful, but will grate on the listener after a while because of its limitations. The point being, 15 songs in here, I had had plenty of Confessions and Todd’s supposed concept album of his life’s journey. But the album rocks if you like this sort of thing.